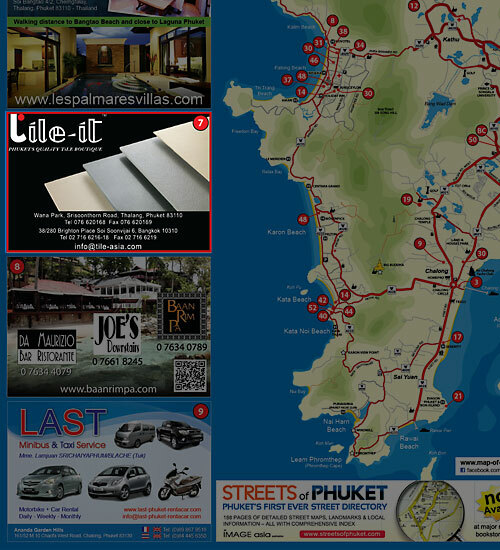 Welcome to the "Map of Phuket" artwork HELP page On this page are all the resources that you need to help us to make your Map of Phuket display attractive and effective. Images for use in display advertisements must be at a resolution of 300 D.P.I. at the size to be printed (usually between 500kb and 2mb in size). Preferred file formats are: TIFF and JPEG. 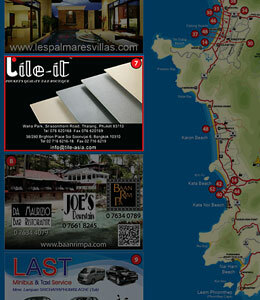 Images can be sent by email (if less than 2mb) to artwork@map-of-phuket.com or by CD. Any text should be sent in digital format to reduce the possibility of errors. 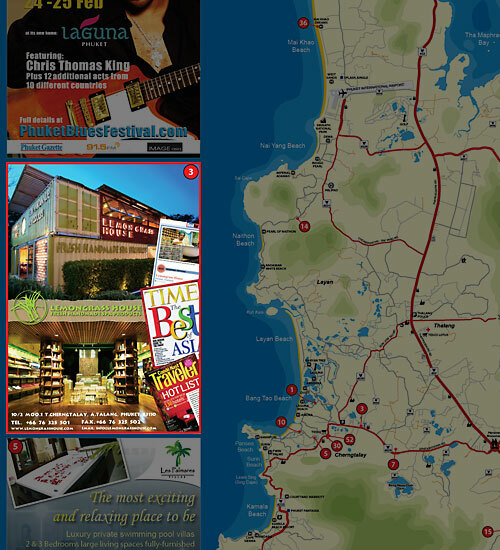 Display advertisements must be at a resolution of 300 D.P.I. at the size to be printed. Preferred file formats are: AI (with embedded images and outlined fonts), PDF, TIFF, JPEG or layered PSD. 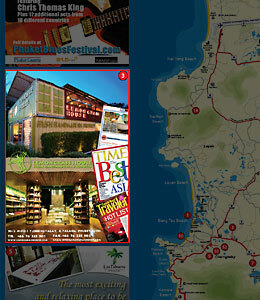 Artwork can be sent by CD, to artwork@map-of-phuket.com (if less than 3mb) or uploaded to our server by ftp. or contact your marketing executive for more information). Any text should be in digital format to reduce the possibility of errors.